Hidden deep within Bloodborne is an item that looks pretty damn important. The only problem? Nobody knows what it does. In order to understand why this mysterious item seems so crucial, you have to know a couple of key things about Bloodborne’s lore. I’m sorry, things are about to get nerdy as heck in here. Please adjust your glasses accordingly. Basically, before the events of the game start, scholars interested in the knowledge of the gods found labyrinths ripe with secrets. Full of curiosity, they explored these labyrinths—you might know them as “Chalice Dungeons,” the randomly generated levels that Bloodborne lets you play. The labyrinth was not empty. Inside, many fearsome foes waited. And at the end of the labyrinth, the scholars found a woman. Yharnam. This woman was a Pthumerian, which is the civilization that likely built the labyrinth in the first place. Yharnam offered the scholars blood, and this is where the whole blood ministration thing started. As Bloodborne players know, the city of Yharnam is built entirely around blood. People drink it, people use it to heal, hell, people like blood more than they do alcohol in this world. 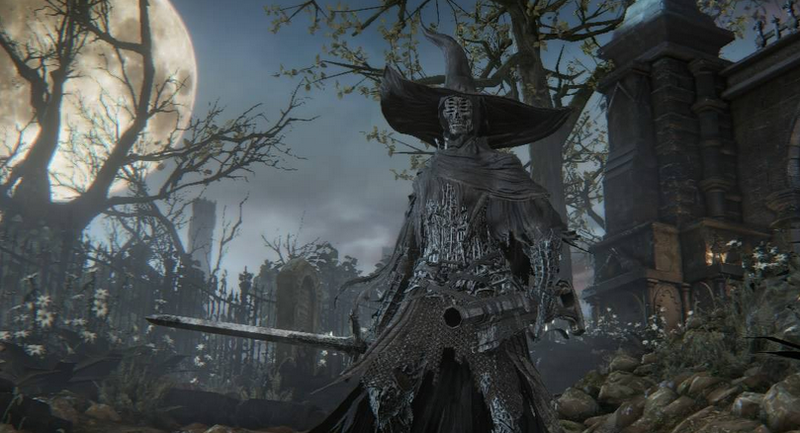 In short: Yharnam the Pthumerian is pretty important—the city is named after her, and she influenced the entire culture of Yharnam, the game’s setting. I won’t spoil too much about her role during the events of Bloodborne, but suffice it to say she’s a key figure that illuminates much of what is actually going on in the otherwise cryptic game. Fearless players who choose to take on the optional Chalice Dungeons even get a chance to fight Yharnam. She’s the final boss of the Chalice Dungeons. It’s not easy to get to her— you have to play through the toughest levels that Bloodborne has to offer first, which also means defeating the most difficult bosses inside of the game. Yup. She basically hemorrhages blood at you. The game is called Bloodborne, after all! Huzzah! A reward for getting through the most devilish portions of Bloodborne! But wait...what do you do with this item, exactly? Well...nobody knows. But it does seem important—I mean, the game files the item under Key Items. Not to mention the fact that a big, influential character drops it, said item, too. It’s apparently a sacred heirloom. Surely it must do something, have some sort of effect? Whatever it does, people can’t figure it out. There are many theories—maybe you have to take it somewhere, show it to someone. Maybe its effect is so subtle, that nobody can notice what it’s actually doing. Players have tried attaining the stone with max insight. Nothing. Players have tried giving it to everyone from the little girl at the start, to random NPCs they meet along the way. So far, it’s been fruitless. People have tried doing specific gestures in front of altars while holding the stone. Nothing. At least one person has even tried to find ways of using the item to impregnate characters, but this, too, hasn’t turned up anything. Given that this is a Souls game, it’s not outlandish to think that maybe players haven’t found the very specific trigger that reveals what the Yharnam Stone is for. Earlier this week, I wrote about a small item that has a very specific use. Bloodborne is full of moments like these, tiny things you can miss if you’re not in the right place at the right time talking to the right person. It’s also entirely possible that this item does absolutely nothing. Infamously, Dark Souls had an item called a Pendant that some players wracked their brains over, trying to figure out what it did. A year after its release, the director beind the game, Hidetaka Miyazaki, revealed that the item did absolutely nothing. The entire thing was a troll, exacerbated by the fact that Miyazaki once said that he always picked this item or nothing at all when starting the game—leading players to believe that it must have some function. But no. It was the director, pulling everyone’s leg. “When it comes to the pendant, I actually had a little bit of an intention to play a prank,” Miyazaki told IGN. Could the Yharnam Stone be another Pendant? It’s certainly possible! But to me, there’s something about the Yharnam Stone that seems inherently more important than the pendant. The description makes it sound like it might do something, given that the queen’s sleeping consciousness is hidden within it. And the stone kind of looks like a fetus, doesn’t it? Maybe that’s just me looking too much into things. The other possibility is that the Stone will have some sort of use in upcoming DLC—but something about that doesn’t seem right. Would From Software gate an item like this so heavily, only to reveal that you can’t use it until you spend some more money? I’m skeptical, but who knows. Maybe a year from now, Miyazaki will reveal that he was just trolling Bloodborne players all over again. (Fool me once...!) Maybe the upcoming release of the Bloodborne guide will reveal what’s up next week. Maybe the Yharnam Stone is the key to figuring out the rumored Beast Mode. I guess we’re just going to have to wait and find out.